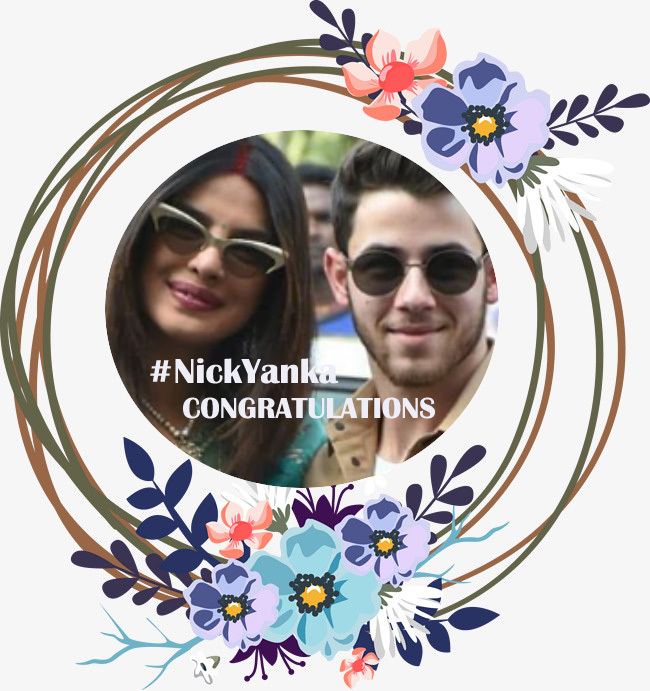 The #NickYanka wedding extravaganza – The Happening celebrity wedding of 2018 ! Bollywood actress Priyanka Chopra and American singer Nick Jonas are married now. The couple selected Umaid Bhawan Palace Hotel in Jodhpur for their grand wedding that made a union of east and west in the most gorgeous way. On December 1, 2018 #NickYanka exchanged their wedding vows as per Christian wedding where Priyank Chopra wore wedding gown designed by Ralph Lauren and she became the first celebrity to ever wear a wedding dress designed by Ralph Lauren. The Christian wedding was officiated Nick’s father Paul Jonas, who is also a pastor. Post wedding amazing firework show happened that bedazzled the sky. The couple looked gorgeous on the day one of the wedding and the netizens could not stop themselves from making the wedding photographs viral on the internet. Followed by the Christian wedding was Hindu wedding that took place at the Taj Umaid Bhawan Palace in Jodhpur in a traditional way on December 2, 2018. Nick Jonas wore sherwani as he was dressed for the Indian bride and Priyanka was clad in Sabyasachi ensemble. Priyanka Chopra looked amazing and ravishing while she entered the mandap. NickYankas’s Hindu wedding mandap was 40 feet high decorated with red flowers and the gorgeous backdrop of Mehrangarh Fort at the venue made it look even classier. The venue was decorated in a regal way and horses and elephants added the grace to the Indian wedding. On the day of Hindu wedding, the female guests wore bracelets with NP written as the initial of the couple and men wore broaches with the same initial. One of the wedding gifts that Priyanka got was the pair of exquisite earrings as a wedding gift by Mumma Denise Jonas. The stunning earrings are from designer Van Cleef & Arpels and according to sources, the worth of the earrings is over Rs 50 Lakh. The theme of NikYanka’s sangeet was ‘Boys vs. Girls’ in which everyone enjoyed. The westerner guests lip-synced on Bollywood number and it was a great show, as we know through their Instagram feed. Priyanka performed with her mom, Madhu Chopra, gave their performance on the famous Bollywood number Ram Chahe Leela from Hindi film “Goliyon Ki Raasleela – Ram Leela.” Priyanka also performed on Gallan Goodiyan from film “Dil Dhadakne Do” and she nailed it. Priyanka’s cousin sister and Bollywood actress Parineeti Chopra also joined with her stunning performance on stage. Priyanka’s Mehendi ceremony was great show on the internet while she Instagramed her pictures wearing a gorgeous yellow dress. Her mehendi design had a guitar beautifully made the palm and that was the best way of showing her love for Nick for whom the world revolves around music. 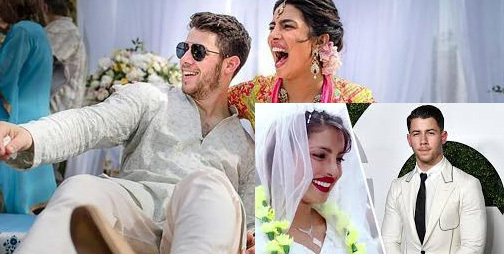 Nick’s life revolves around music and Priyanka’s mehendi was really meaningful and adorable. Priyanka’s Mangalsutra was another highlight after their wedding and the internet is full of the pictures clicked after the couple was photographed by the paparazzi while they were leaving for Delhi. Her mangalsutra has a big diamond in the shape of a dew drop and it is simply classy!